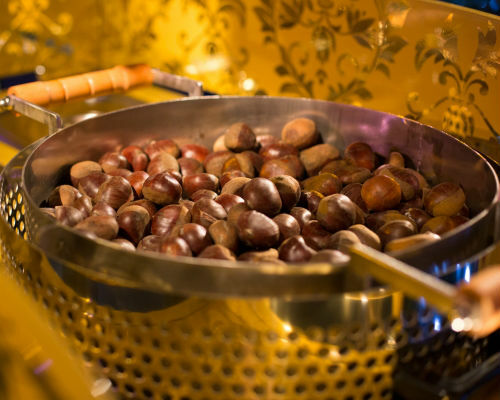 Chestnuts roasting on an open fire, Jack Frost nipping at your nose, Yule-tide carols being sung by a choir – can you smell the chestnuts? 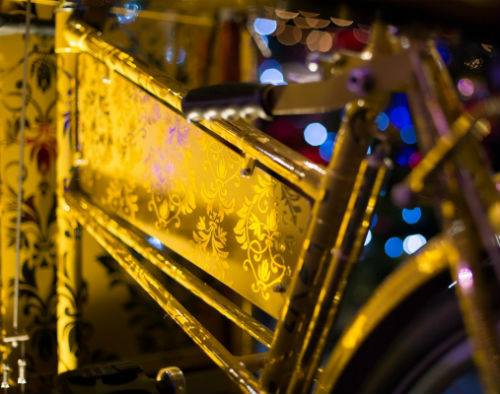 Our Roasted Chestnut Tricycle is a fab alternative to a traditional Chestnut stall and our gold roasted chestnut tricycle looks stunning with its flock gold finish. 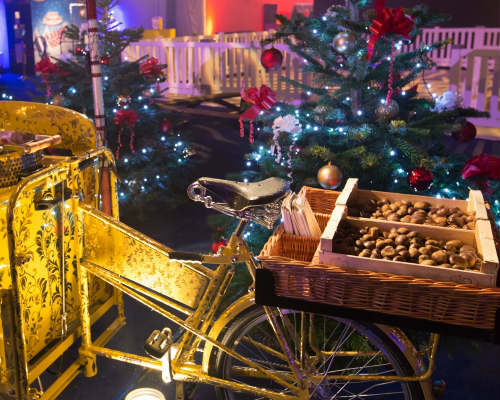 We use only the best French Chestnut, and you will smell the delicious roasting chestnut long before you reach the tricycle. 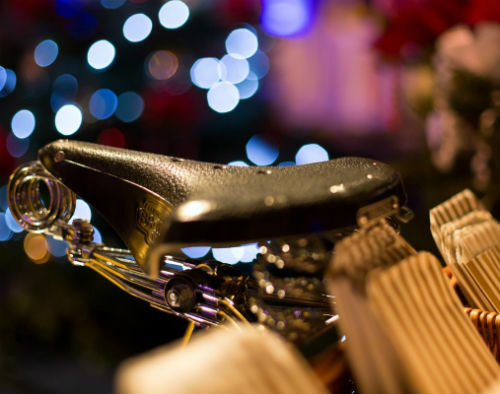 Once cooked, the roasted chestnut are placed in brown traditional paper bags and either served immediately, or kept warm using a hot plate located in the wicker basket on the back of the tricycle. 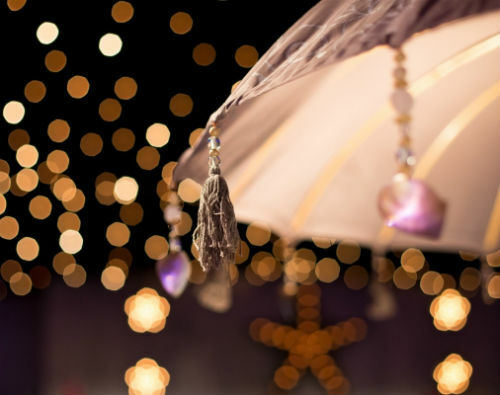 The roasted chestnuts are served by our friendly, professional and uniformed staff. 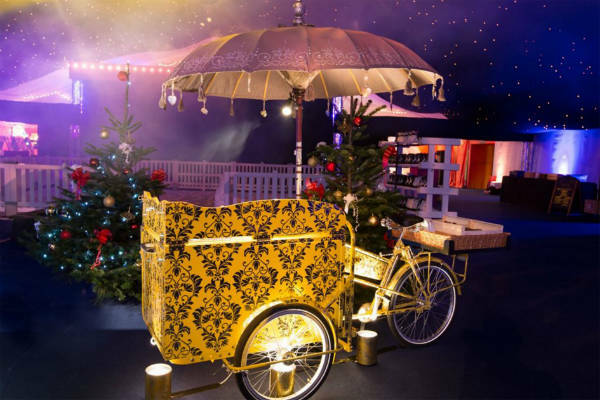 The Roasted Chestnut Tricycle is perfect for Christmas events but also great, if you are just looking for something to warm your clients on a cold winters night. For corporate clients we offer a wide variety of branding options ranging from partial to a full wrap. 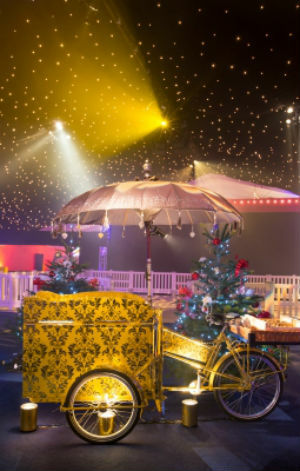 In addition we can also remove the box from the tricycle, and place it on a plain bike to match your brands colour scheme.